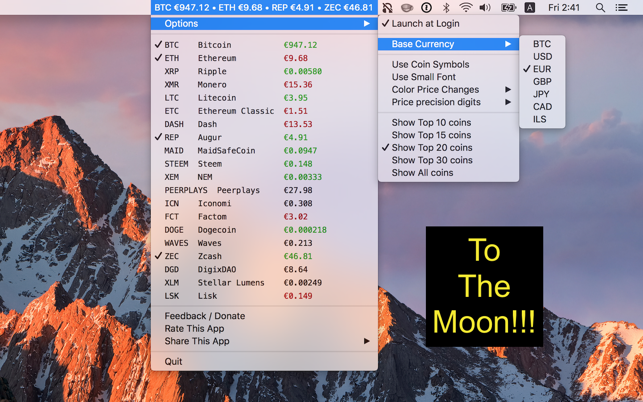 The best crypto-currency ticker for the Mac! Enjoy, and let me know if you have any feedback! 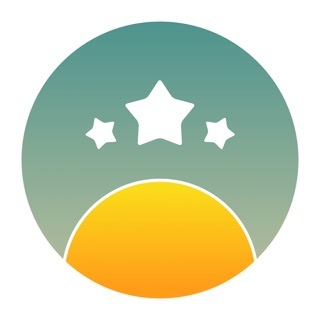 I just started using the app. It seems to have all the features one could need from a lightweight cryptocurrency tracking app. One downside is that you can not change update frequency and by default, it is 1 second. Which is nice for someone who's looking at the prices all the time but unnecessary for less active users. 1. I would love to be able to change the update interval to 10s or 1m to decrease the amount of network requests and toolbar UI updates which will lower CPU usage (maybe a slider with geometric progression like MacOs has for Energy Saver would be an excellent option). I used to have five tabs open all day to display prices. They were usually covered up by other windows or displaying tons of constantly changing data that I would just stare at. This is exactly what I was looking for… just now when I decided I wanted something better than what I had been doing for months. I realized I couldn’t be the only one with this problem, which means someone else already came up with a solution. This app is great. Quick and easy. If I want to see a candlestick chart and tons of moving data, I’ll click a bookmark. This app will let me know when I might want to do that. Less staring at charts = more time to do better things. Thank you for making this. This app does all I want except for one minor thing. 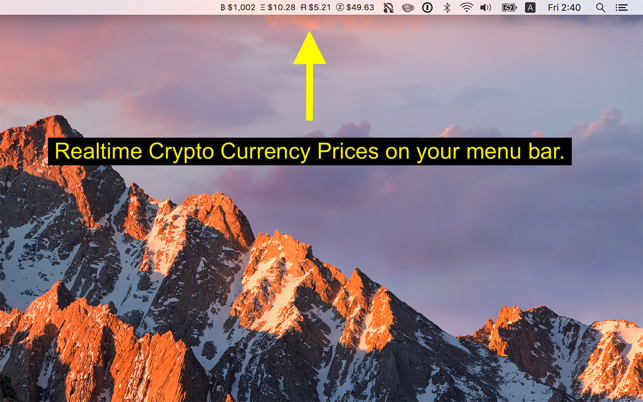 It allows me to track the price development of the currencies I am interested in in the menu bar. It is free and works so well I find it unfair to take away any stars because of a tiny nibble. 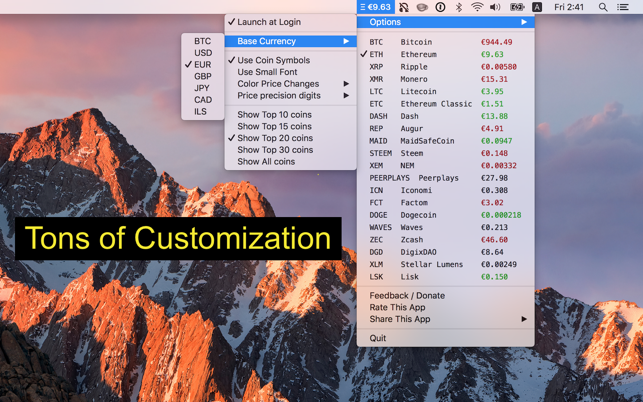 I would appreciate if I could chose different currencies for different coins as some of them were purchased in ETH or USD or EUR so having just one makes it hard to relate to the development. Other than that it is very handy. Thank you!